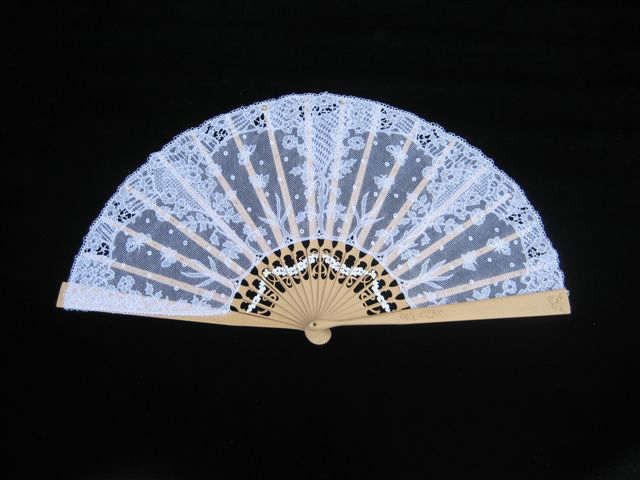 Lace-making in Western Europe is generally believed to be of 16th Century Italian origin. It is not surprising therefore that Carrickmacross Lace was first inspired by Italian Applique Lace in the early part of the 19th Century. In 1816, Rev John Grey Porter, Rector of Donoghmoyne, a parish near Carrickmacross in Co. Monaghan, married Margaret Lindsey who was a descendant of the Earls of Lucan. While on honeymoon in Italy, Mrs. Grey Porter was accompanied by her maid Ann Steadman, who it is reported, was an accomplished needlewoman. Both ladies were fascinated by the Italian Lace they saw and were curious about its construction. On returning home they decided to copy the Italian Lace. 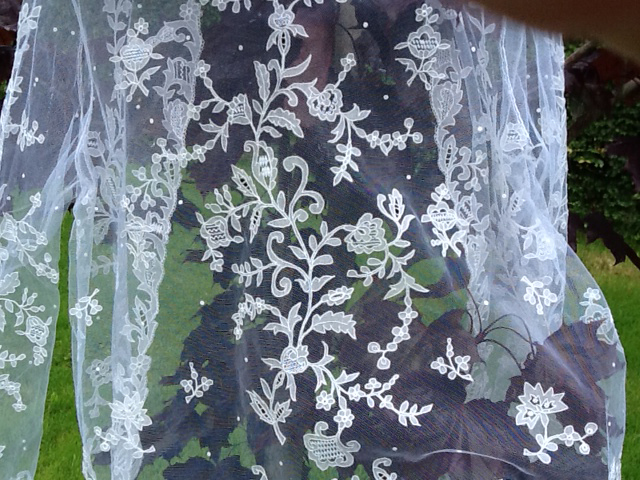 As it happened, they did not copy the Italian Lace but developed and entirely new Lace using linen cambric applied to machine made net to reproduce the effect of lace made with handmade net (reseau). Sometime in the early 1800s Mrs Grey Porter and Ann Steadman began lace classes in the locality. Two variations of the lace evolved – Carrickmacross Applique and Carrickmacross Guipure. The industry was developed in the neighbourhood of Carrickmacross during the great Famine of 1845-1847. Seven Lace Schools were built on the Bath and Shirley Estates in the years that followed. 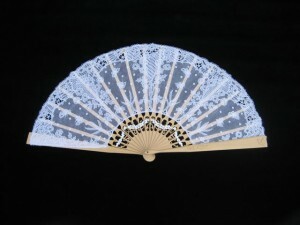 The lace as popular for its delicacy and charm and the industry flourished. However, towards the end of the 18th century, standards fell and the industry began to decline. It is possible that lace-making would have died out in the area, were it not for the intervention of the St Louis Sisters, who had founded a convent in the town around 1890. The first ten years of the St Louis School saw a return to prosperity among the lace-makers of the area. Lace-making still flourishes in Carrickmacross and a successful Lace Co-Operative has been established there.